I made this fun little card using the cute "Dad's Day" set from Lawn Fawn. 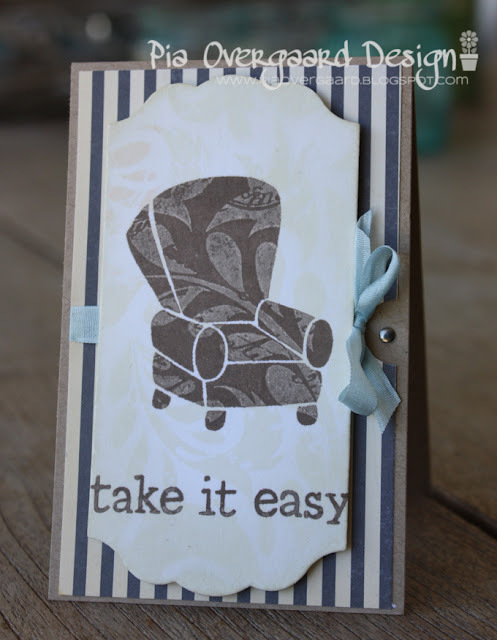 I made the chair looking very cosy and comfy by stamping over a white stamped background using the Leaf and Flower Background from Hero Arts. This is leaving a nice pattern on the chair! 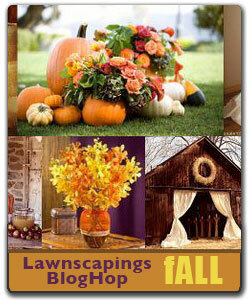 Btw, Stay tuned for a Lawnscaping Blop Hop on October, 5th. I am sure we are all in for an inspirational treat with the Fall Themed hop! 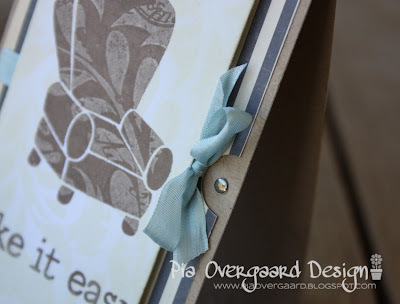 Hi Pia, your work is always so inspiring and this comfy chair card is no exception. I love the pattern on the chair and all the fabby details on the card. Have a lovely day, my friend! Super lækkert kort i dejlige farver. ... et skønt lænestol stempel. ÅH jeg får sådan lyst til at sidde i sådan en lænestol lige nu zzzz. Skønt kort og jo - det er en IKKE tøset sløjfe på den måde.